Since I brew my own kombucha, I'm always experimenting with different ideas for how to flavor it. 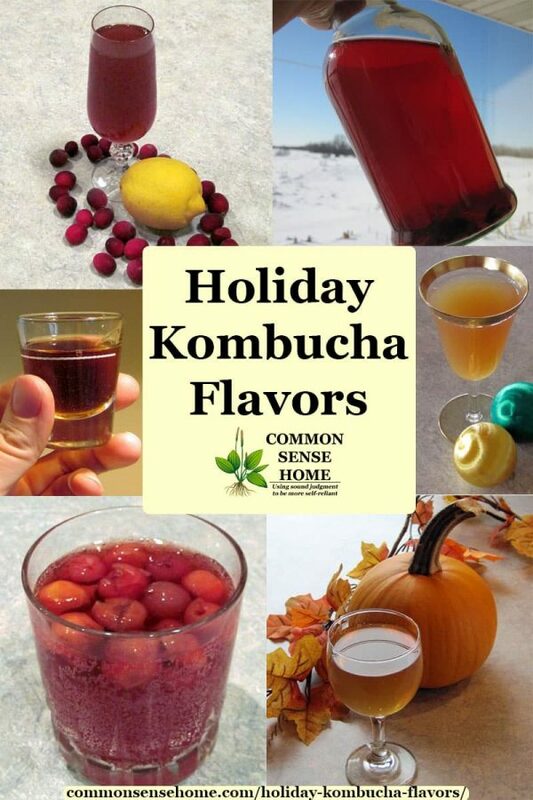 In this post, I share some fun ideas for holiday kombucha flavors for a unique seasonal brew. For those who've never sampled kombucha, as my grandmother used to say, “Try it, you might like it!” Fermented foods (and drinks) are wonderful for helping digestion – especially this time of year when we may be eating a little less healthy at holiday parties.